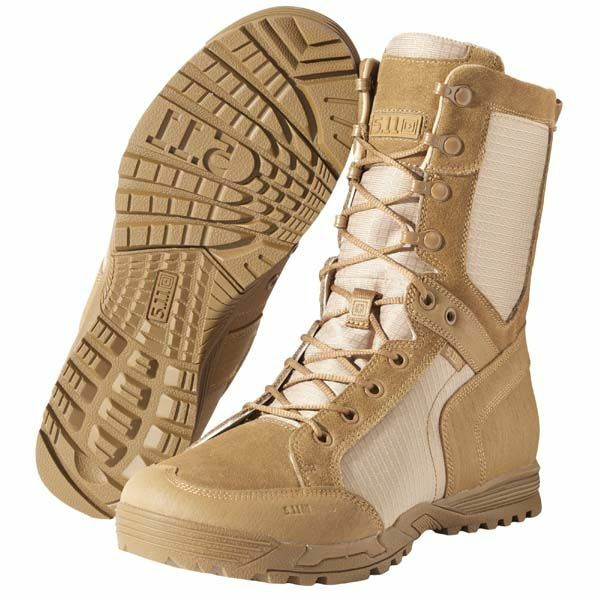 Crafted from durable ripstop nylon, suede, and HELCOR leather, the 5.11 RECON Desert Boot delivers superior comfort, agility, and control in a variety of tactical environments. A molded exoskeleton, full-length CMEVA midsole, and nylon shank provide structure and stability, while an Ortholite insole and breathable nylon enhance comfort. The toe guard and covert tactical pocket add practical utility, and arch lugs, climbing lugs, and an 8mm heel-to-toe drop promote traction and acceleration. Peak performance when it matters most, time after time.